I read with pleasure Allan Massie’s article, “Lib Dems deserve better than the polls are suggesting” (Perspective, 22 April). I have a high regard for Mr Massie’s literary and political acumen and have long admired Michael Moore’s integrity and political intelligence. 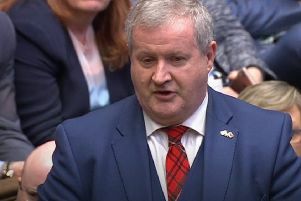 That Mr Massie should analyse with such honesty and democratic wisdom the performance of not only Mr Moore but all of my Liberal Democrat colleagues in government restores my faith in the tolerance and liberal credentials of the Scottish intelligentsia.